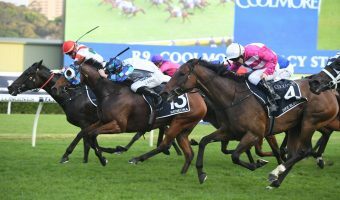 By claiming the Group 1 Rosehill Guineas on Saturday, The Autumn Sun passed two very important tests: winning over 2000m, and winning on a heavy track. 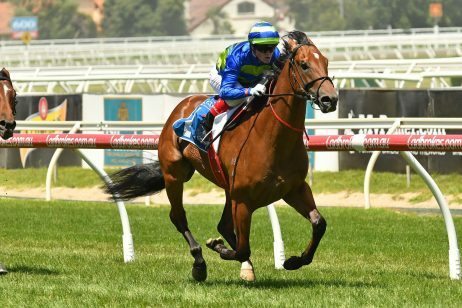 Chris Waller’s brilliant three-year-old claimed his fifth Group 1 win in nine starts on the sticky surface, although it was far from his best. 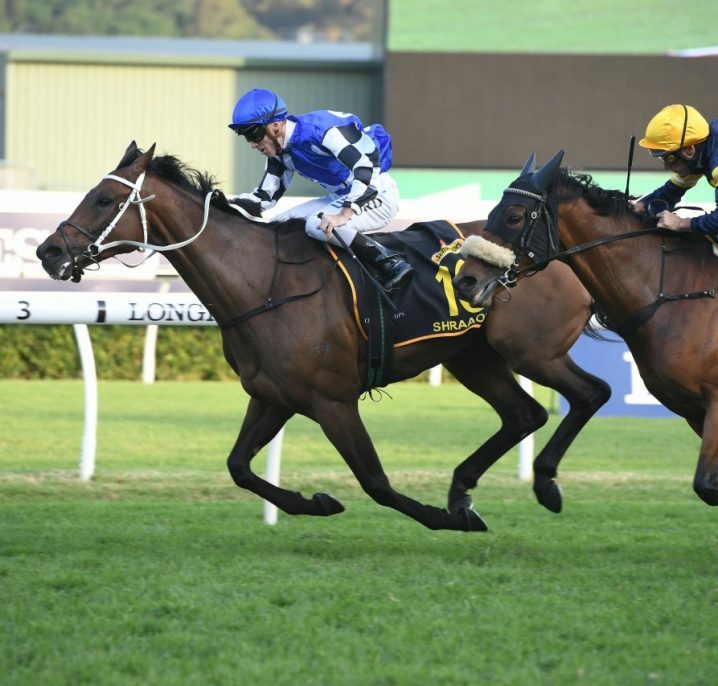 The distance always posed a question after winning the Randwick Guineas over 1600m a fortnight ago, and fittingly enough, it was a horse named Arrogant that gave punters a real scare down the straight. 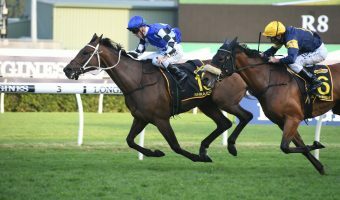 With long-time jockey Kerrin McEvoy onboard, The Autumn Sun quickened at the 1000m to move from third to first two off the fence. 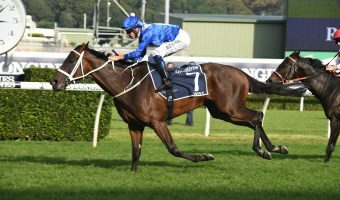 The pair looked home and hosed over the final furlong, up until the Michael Maroney trained Arrogant flew up the inside to challenge the leader. 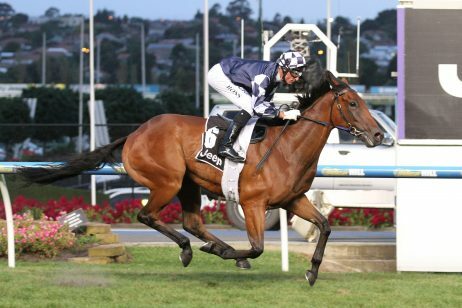 The Autumn Sun claimed his fifth Group 1 win during Saturday’s Rosehill Guineas. Photo Credit: Steve Hart. It was a toe-to-toe race over the final 100m, but The Autumn Sun found an extra gear to win by a nose. 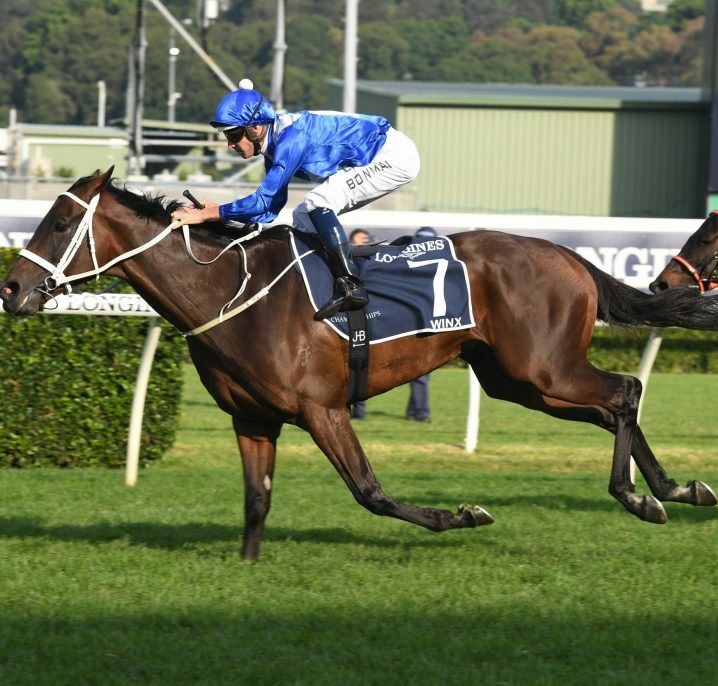 An emotional Waller said after the race that there were a few concerns about the wet surface, especially after The Autumn Sun’s disappointing run on the heavy during last year’s Stan Fox Stakes. 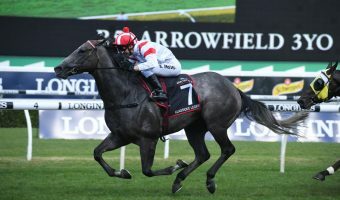 “There was a concern earlier in the week whether he should be running on the heavy track, he’s still a horse that’s young and still hasn’t fully matured,” Waller said. The question on everybody’s mind now is, what’s next? 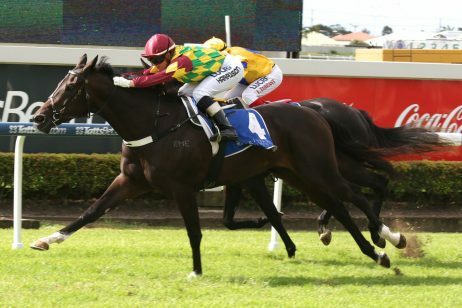 Despite lasting the journey on Saturday, a step down in trip is almost certain, which leaves the door open for a potential start in next month’s Doncaster Mile (1600m) on April 6. 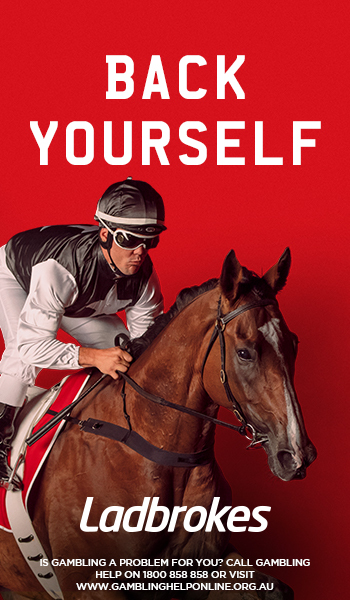 “That’ll be up to the owners to decide whether he goes to stud. 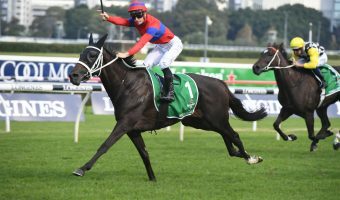 I get the importance of the horse’s value” Waller said when asked on The Autumn Sun’s future plans. 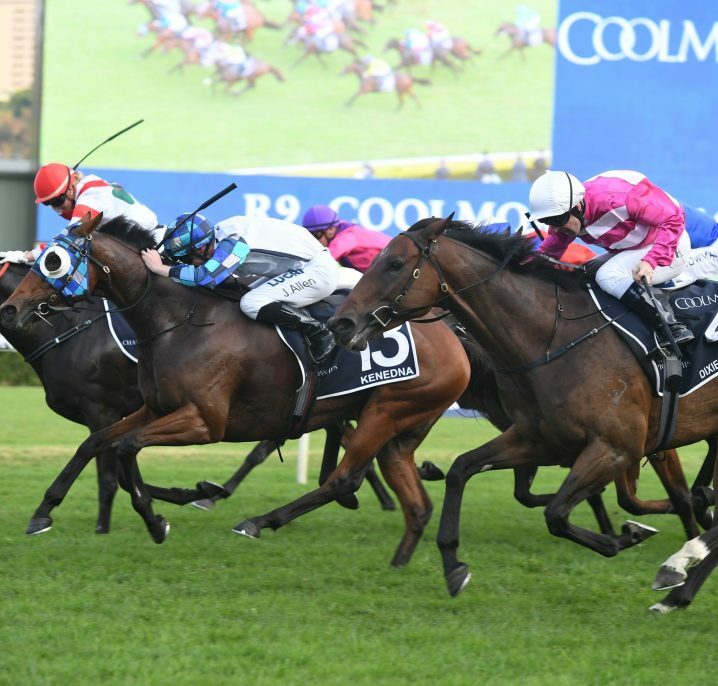 Saturday marked back-to-back wins in the Rosehill Guineas for Waller, who won the race last year with D’Argento. 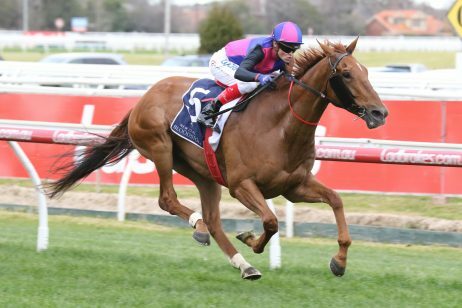 The Autumn Sun remains the $4.00 favourite for The Doncaster.